System Volume Information folder is in the root of each disk. You can see System Volume INformation by unhiding System Files i Folder Options. System data related to system recovery and Shadow Copy Service are stored in it. It is hidden and only the SYSTEM has access to it, not even administrator can access System Volume Information. To view the contents of the folder, you have to change the security settings and make yourself owner of that folder ( Right click-> Properties-> Security-> Advanced), get yourself the NTFSpermissions to access it. 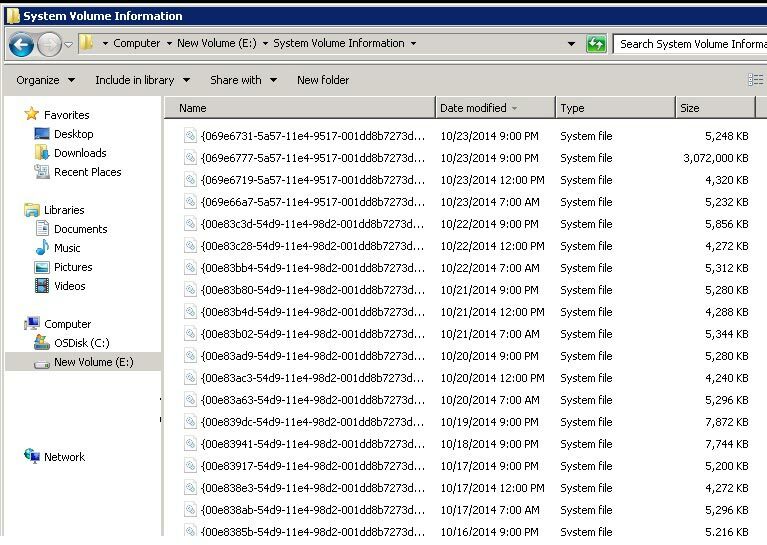 For shadow copies, each new VSS snapshot is stored in System Volume Information folder. The more often the shadow copies are created and data on the disk are changed, the faster the size of this folder grows. Note. It is not recommended to manually delete files in System Volume Information folder, since important information necessary for system recovery is stored in it. We can see, 10% of disk is allocated to snapshot files on drive C:\ but only 2% of them are used. If the value of Maximum Shadow Copy Storage space is UNBOUNDED, that means the limit for shadow copies is not set and it may take all free space on the disk. By default, the system gives 10% of the total disk space to store this data. 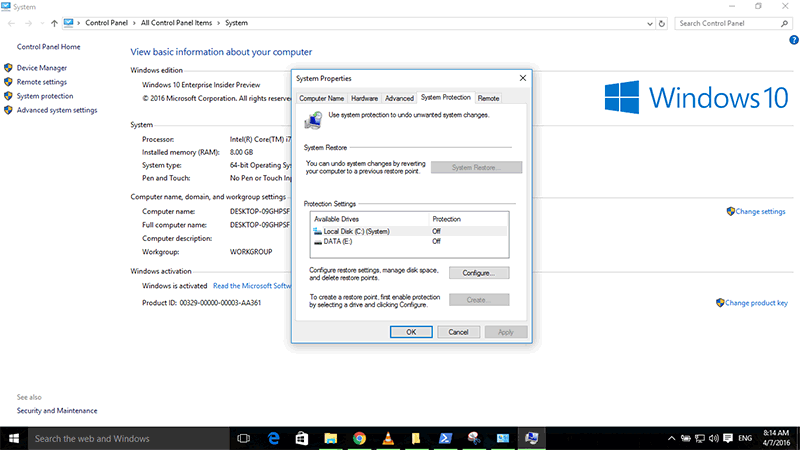 Windows 7/8/10 we can manage recovery points and limits from GUI. In the system properties (System), go to System Protection tab. Using Configure, we proceed to the settings of quotas for restore point storage. You can delete the existing restore points here.